David (Colin Farrell) finds out his wife doesn’t love him anymore. He is sent to a hotel and given 45 days to find another partner. If he isn’t successful, the staff at the hotel will turn him into the animal of his choosing – in this case, the titular lobster – and set him free to live out his days. Is this a dystopian future or an alternate reality? 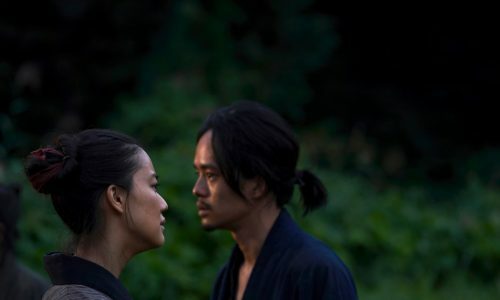 Is anything more of an impediment to love than the scent of desperation and forced romance? 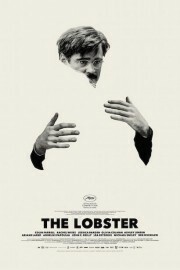 Director Yorgos Lanthimos (Dogtooth, Alps) ponders the truth and fiction of relationships in The Lobster, a much-anticipated, bleak absurdist comedy. 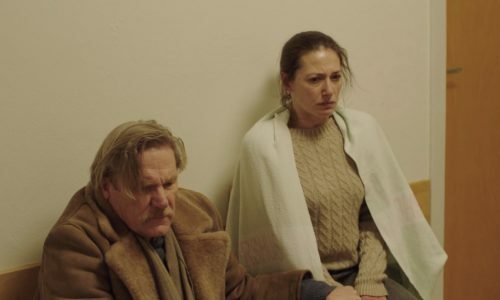 The first half of Lanthimos’ unusual film takes place within the claustrophobically bland confines of a corporate hotel, a setting that reflects the odd matchmaking premise – find a mate or else – and parodies the textureless monotony of so-called romantic retreats. Uncomfortable dancing and entertainment scenes call attention to the pressures of socially enforced coupledom, with the hotel manager (an icily corporate Olivia Coleman) and husband treating the hotel’s unfortunate inmates to a hilarious musical number recalling the worst of cruise holiday entertainment. 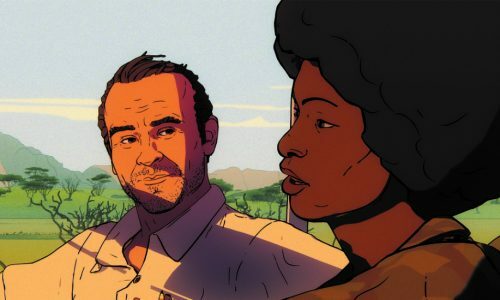 Co-written by Lanthimos and Efthymis Filippou, the script accentuates its own peculiarity through the use of an ironic voiceover and by lending a deliberately artificial rhythm to character dialogue so that that everyone sounds like they’re reading from a particularly unconvincing police report. It’s effective for sardonic laugh, but it does start to wear a little thin towards the latter half of the film. Here we see the dystopia’s flip side, a forest near the hotel where escapees agree to be “loners” forever. 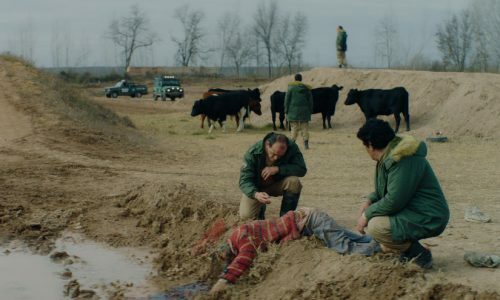 Another of Lanthimos’ deadpan tricks is to punctuate scenes with bursts of unexpected and bloody violence. 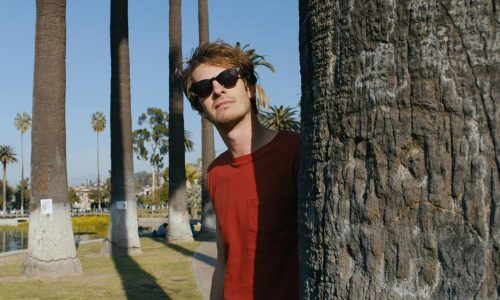 These shocking moments widen the rift of empathy between audience and character, opening the way to greater absurdities as the film’s fantasies become more improbable. Pigs, peacocks and tiny horses – all, implicitly, former romantic failures – roam the loners’ forest, strolling comically in and out of shot at unlikely moments. People shoot darts at one another. One woman kicks an animal to death. All of this is a bit puzzling. Is The Lobster making fun of romantic conventions? Cautioning us about the totalitarian application of social norms? A dada-esque reaction to corporatisation? Or is just a beautifully shot piece of post-modern absurdist cinema, to be enjoyed without context? Well, that is entirely up to the viewer. 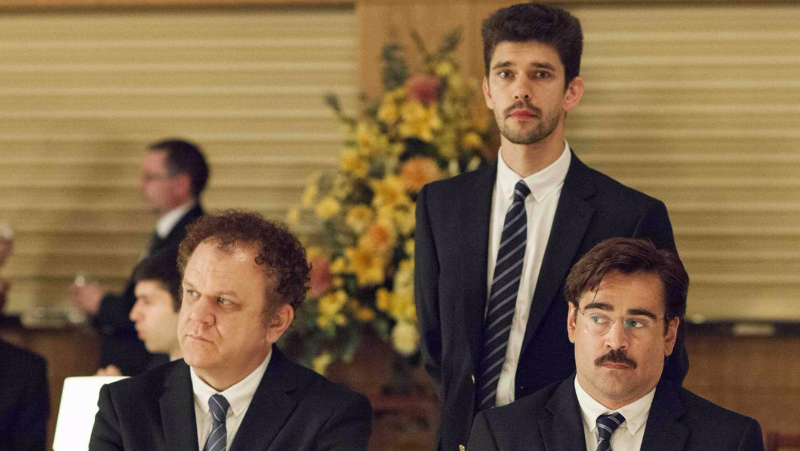 The Lobster is released nationwide on 13th October 2015.